Sen. Elizabeth Warren announced Monday morning that she was formally establishing a presidential campaign exploratory committee in an email to supporters with an accompanying video message posted online. “In our country, if you work hard and play by the rules, you ought to be able to take care of yourself and the people you love,” the Democratic senator from Massachusetts says at the start of the new, 4 1/2-minute video. 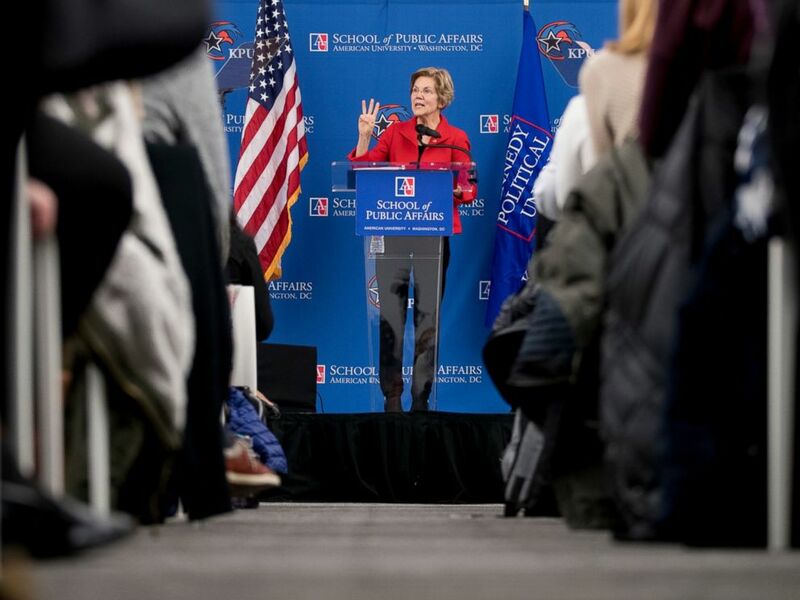 In this Nov. 29, 2018, file photo, Sen. Elizabeth Warren, D-Mass., speaks at the American University Washington College of Law in Washington, on her foreign policy vision for the country. A former Harvard law professor and champion of consumer protection, Warren has long been on the shortlist of potential 2020 Democratic candidates. Her fundraising prowess and popularity in progressive circles has left many in Washington referring to her as one of a few early front-runners as well, though more than two dozen other Democrats are also rumored to be considering presidential runs. Warren’s staff tells ABC News the senator filed the paperwork for her exploratory committee with the Federal Election Commission Monday morning and is revamping her political and campaign website. The video message out Monday features childhood pictures and grainy home video of the senator as a girl and then a young mom. Warren discusses her life growing up in Oklahoma where her mother worked a minimum wage job and her introduction into politics, when she helped President Barack Obama establish the Consumer Financial Protection Bureau after the 2008 financial crisis. There is only a passing reference to President Donald Trump and his administration in Warren’s new video. Pictures of past and current White House advisers play over Warren’s voice saying, “The whole same is propped up by an echo chamber of fear and hate designed to distract and divide us." “If we organize together, if we fight together, if we persist together, we can win,” Warren ends the video, making a subtle reference to a moment on the Senate floor in 2017 that went viral. Republican Senate Majority Leader Mitch McConnell seemed to scold Warren for breaking the rules and said to his colleagues, “She was warned. She was given an explanation. Nonetheless, she persisted.” The line became a rallying cry for feminists in Democratic circles. Exploratory committees are a common tool that provide a legal and transparent framework for candidates to travel, fundraise, conduct polling and engage in other political activity as they weigh the decision to launch a campaign. They are separate and intentionally different than filing one’s candidacy and common early on in presidential primaries. 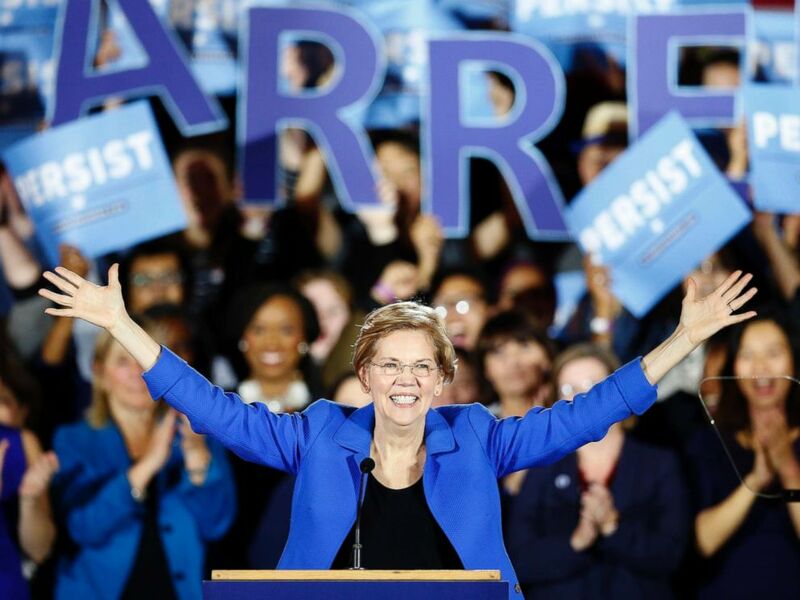 Warren began significantly increasing the size of her political staff as well as her visibility on the national stage over the summer and last fall. In late November, she delivered a speech in Washington, outlining her vision on foreign policy. A month prior, weeks before the 2018 midterm elections, she released a video talking with her family in Oklahoma and addressing her claims to Native American heritage with a DNA test. Republicans, including the president, pounced and ridiculed the senator. Over the summer, Trump had dared Warren to take a DNA test during an extended riff at a campaign rally when he mocking the senator, insulted her hygiene and promised to throw a DNA kit at her should the two of them ever debate. In a preview of an upcoming phone interview with Trump that is scheduled air on Fox News on New Year's Eve, a clip of Trump's call with the news hosts was shared on Fox Business, in which he addressed Warren's presidential aspirations. "We’ll see how she does, I wish her well, I hope she does well, I’d love to run against her," said Trump. When asked if he believed she could win, Trump responded: "Well, that I don't know, you’d have to ask her psychiatrist." Sen. Elizabeth Warren gives her victory speech at a Democratic election watch party in Boston, Nov. 6, 2018. “While Warren is an effective and impactful senator with an important voice nationally, she has become a divisive figure. A unifying voice is what the country needs now after the polarizing politics of Donald Trump,” the board wrote. Warren was first elected to the U.S. Senate in 2012, after raising an eye-popping $42.5 million to defeat Republican Sen. Scott Brown.